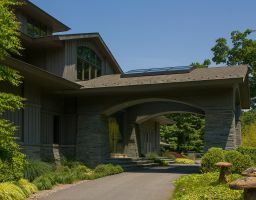 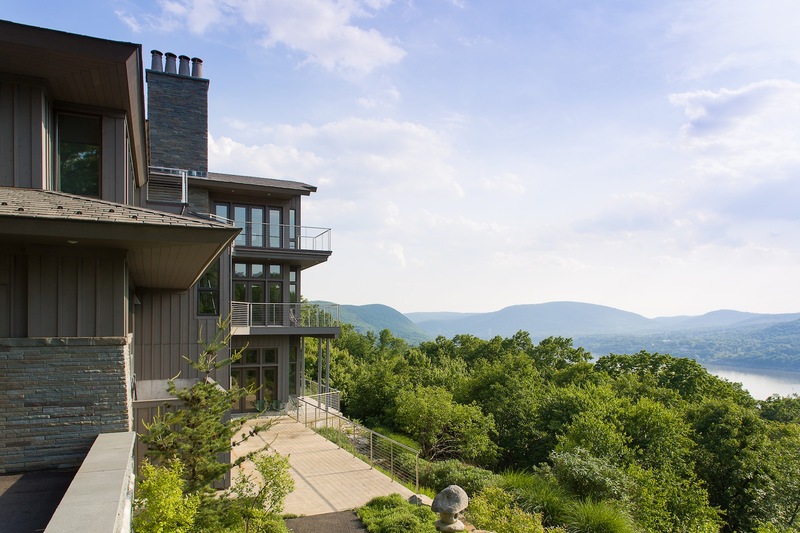 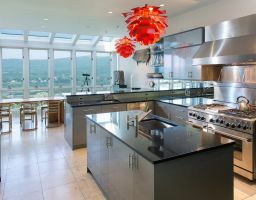 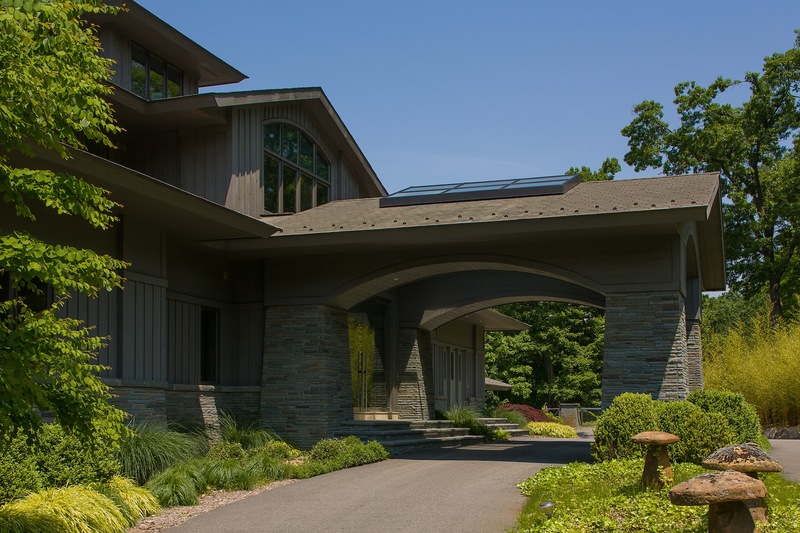 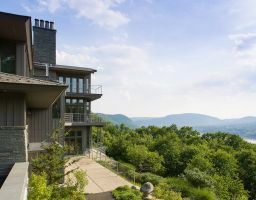 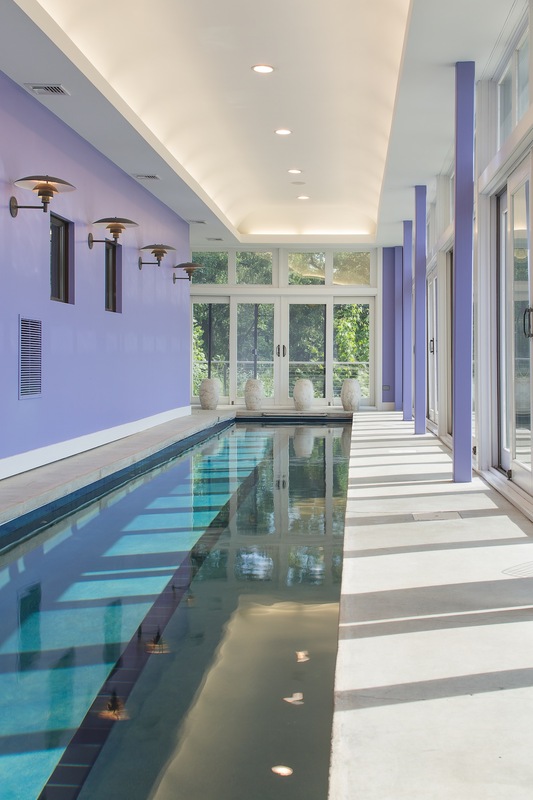 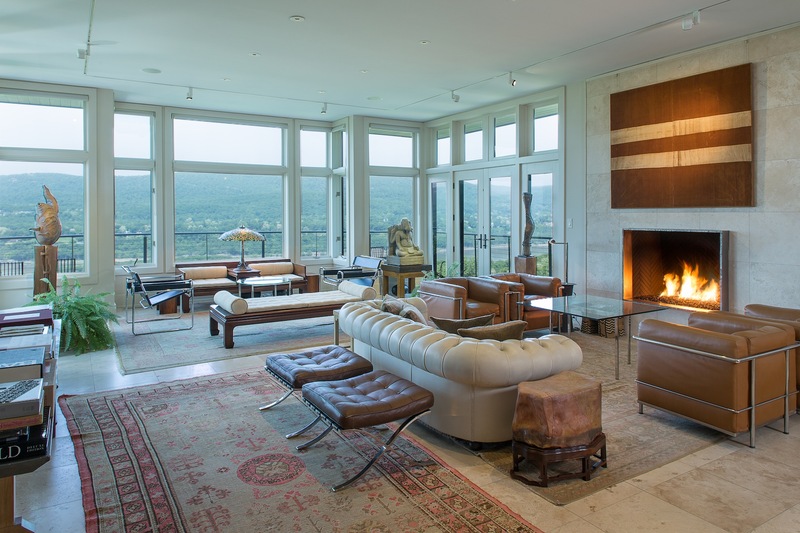 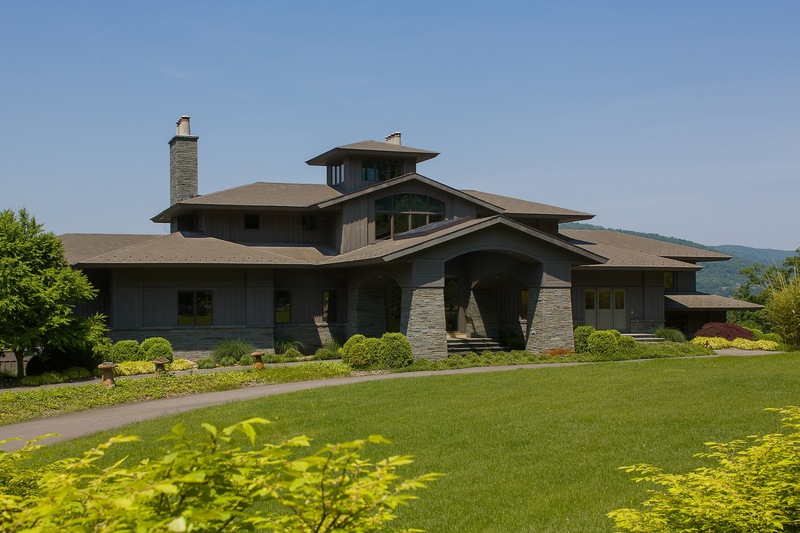 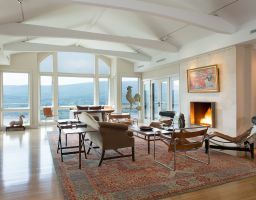 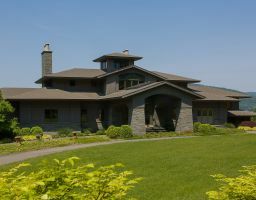 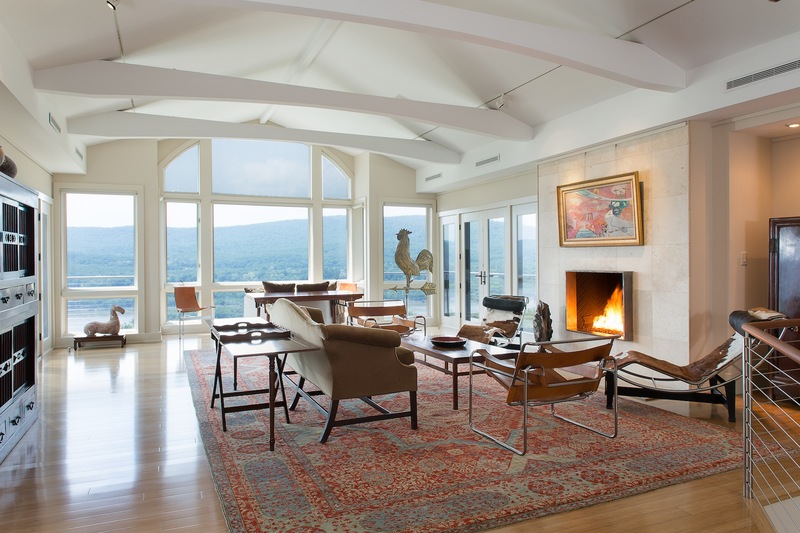 Perched on a steep hillside open to breathtaking sunsets and unobstructed views of the majestic Hudson River, this structure was designed as a comfortable home as well as a gallery space for a significant private collection of paintings and objets d’ art from every corner of the globe. 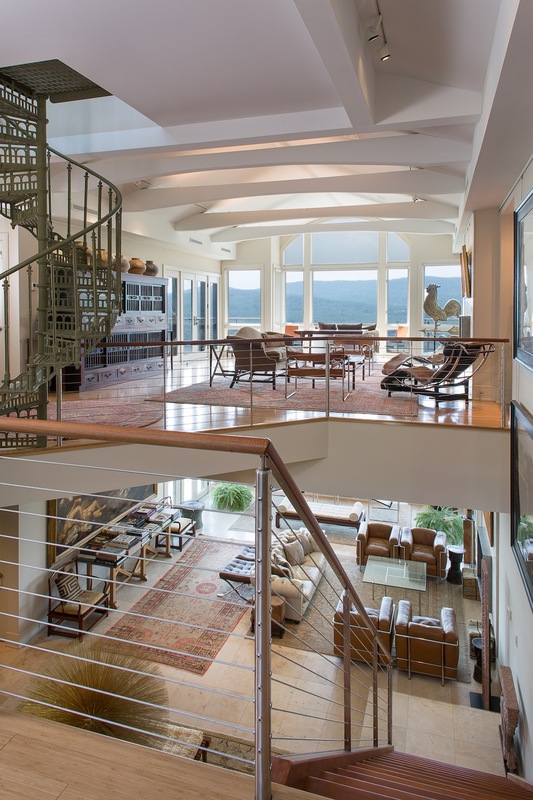 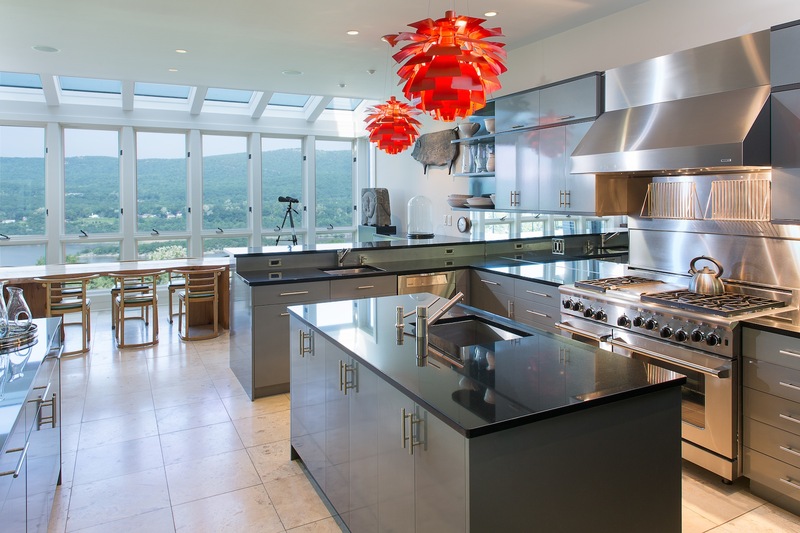 Although the very steep site presented technical challenges, it also allowed for unobstructed views from every level of this home. 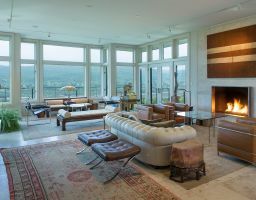 The overall composition is based on strong horizontal lines, deep, layered, sheltering overhangs, and extensive glass walls to the west. 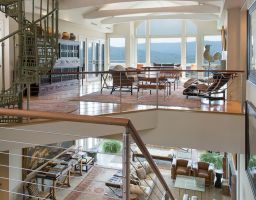 Stainless steel tension cable railings add transparency to the many balconies and terraces on all levels.